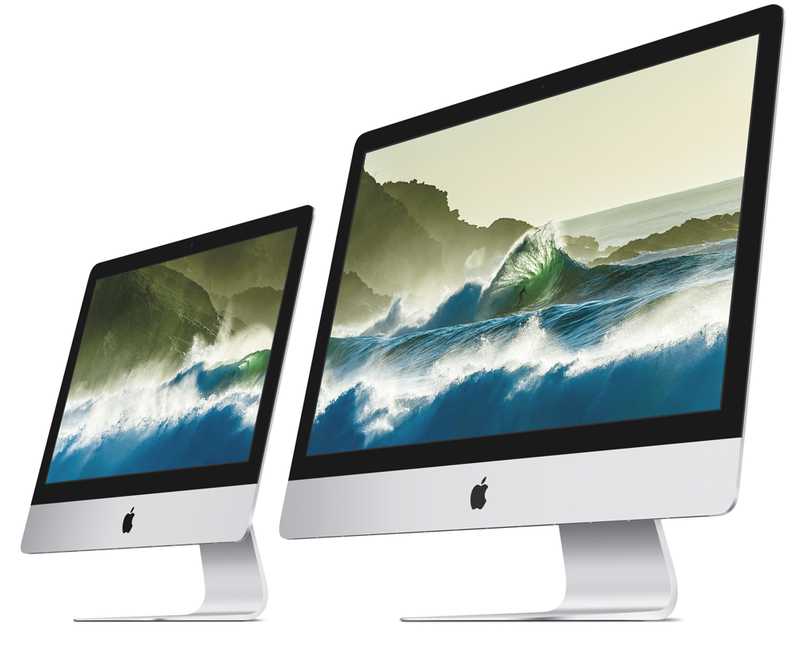 The recent rev of Apple’s iMac with 5K Retina display is the company’s finest Mac ever. Use it and you may never be able to use any other computer again thanks to the gorgeous screen. I have the base model that comes with a 3.3GHz quad-core Intel Core i5 (a zippy “Skylake” processor), AMD Radeon R9 M395graphics and a 2 TB Fusion Drive. However, I doubled the standard amount of RAM (more on that in a moment). Performance is quiet and smooth with nary a hiccup. Of course, the big feature is the screen. The Retina iMac comes with a 5,120-by-2,880-pixel display. That's double the vertical and horizontal lines (2,560 by 1,440) of the 27-inch Thunderbolt Display (which is way, way overdue for an upgrade). With 14.7 million pixels, text appears super sharp, videos are unbelievably lifelike, and you can see incredible levels of detail in photos. For example, video editors can view a 4K (Ultra HD) video (3,840 by 2,160) at 100% while still having a boatload of pixels left over surrounding the video for media libraries, toolbars, and video timelines. For those of us who love movies, you can play a full HD movie in a portion of the display, and it’s actually rendered in full 1080p. Blu-ray discs look marvelous on the iMac screen; though, to play them, you'll need MCE's Super-BluDrive or MCE's Mac Complement (look for reviews later this week). You should note that websites and video that don’t scale to Retina standards look slightly blocky and jagged. 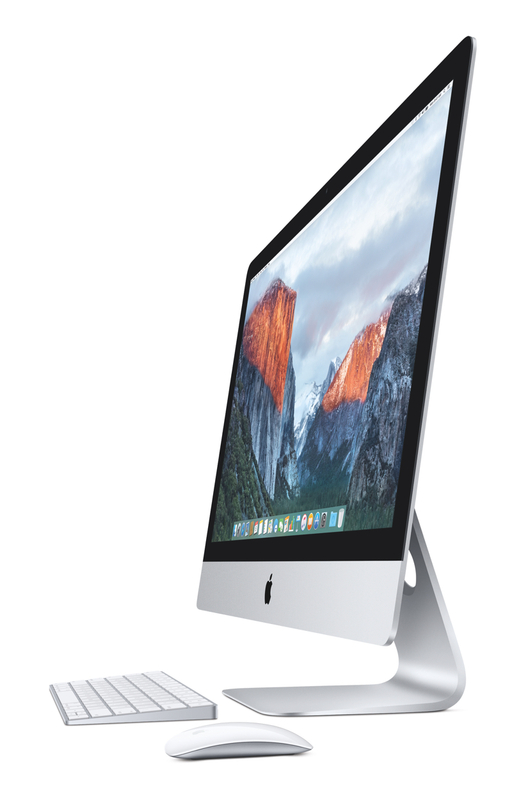 As incredible at the 5K Retina display already was, Apple has improved it with the 2015 iMac. The tweaked display features a wider P3-based color gamut that provides a 25 percent larger color space and more available colors, making images even more vibrant and life like than before. The new iMac uses a more advanced red-green phosphor LED for better balance and wider range. Each panel is also individually color calibrated at Apple's factories, and the color management built into OS X keeps things consistent across apps. That said, and though reds and greens in particular look brighter, many average users won’t notice the improved image quality unless they’re closely comparing the displays of a 2014 iMac and a 2015 iMac. However, photo and video professionals will be thrilled at the enhancements — although to take advantage of the new screens, you need images or video saved in a format called DCI-P3. Mac OS X El Capitan’s Photos app can now save to that format, but you’ll have to start with high-quality images, such as those from a DSLR. The iMac speakers are, as before, very good, but I'd like more (hey, I'm selfish). I'd love to see 10x stereo, front-facing speakers as shown in this fantastic concept desktop dreamed up by Apple fan and artist, Kurt Merki Jr.
My biggest complaint is that the new iMac comes with a miserly 8GB of RAM, when 16GB should be standard. Oh well, it's easy to upgrade the memory (which, according to Apple, can be boosted to 32GB — but which OWC lets you rev to 64GB). Also, why no Thunderbolt 3 or USB Type-C ports? Apple is one of the forces promoting Thunderbolt and the company has heavily touted USB Type-C, which it introduced with the 12-inch MacBook. The new iMacs come with a revamped Magic Keyboard and the Magic Mouse 2. Both are solid updates and are environmentally friendly. Designed around a built-in rechargeable lithium-ion battery, the accessories eliminate the need for disposable or (standalone) rechargeable batteries and feature a noticeably more solid internal structure and quality feel, hough I do have a couple of qualms. The new Magic Keyboard features a full-size keyboard in a design that takes up 13 percent less space than its predecessor. It has a new scissor mechanism and lower profile. If you think that sounds like the keyboard introduced with the 12-inch MacBook, you’re right. New stainless steel dome switches located beneath each key deliver a responsive feel when typing with no “give” on the sides of the keys. Since other keyboards wiggle a bit on the sides, this takes some getting used to. However, after about an hour, the new tactile experience had won me over, though not everyone may feel the same. The new Magic Mouse 2 is lighter, sturdier and features an optimized foot design for a smoother glide. It features a 29 percent larger surface and brings Force Touch to the desktop for the first time. Force Touch enables a range of new ways to interact with your Mac, including the new Force click to quickly look up a word, preview a file or bring up a map from an address. However, unlike the keyboard, the Magic Mouse 2 doesn’t have the Lightning charging port on the back. It’s on the bottom, which seems a design faux pas to me. Despite this, I appreciate that the new Magic devices pair instantly with your Mac as soon as they’re plugged in via the Lightning-to-USB charging cable. They work with your new desktop right out of the box. Apple says they’ll last about a month or more on a full charge, though I’ve not been using them long enough to verify this. Despite some minor complaints, this iMac is the Apple desktop is the closest Apple's ever come to providing me with my "perfect" Mac.